We check up on what the this year’s finalists have been doing since they returned home from Kiev, Ukraine. In this part two of three we look at the participants from Croatia, Azerbaijan, United Kingdom, Austria, Belarus, Armenia and Greece. 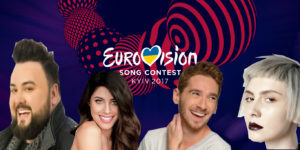 It is now end of July, and it has been more than two months since the Eurovision weeks back in May in Kyiv, Ukraine. Only twenty-six out of forty-two countries managed to qualify for the final, which was won by Portugal. But how about the rest of the candidates that were competing in the final, what have they been up to? In this, the second of three articles, we are going to take a look at the qualifiers’ lives since May. What have they done so far? Any new music? Let’s start! 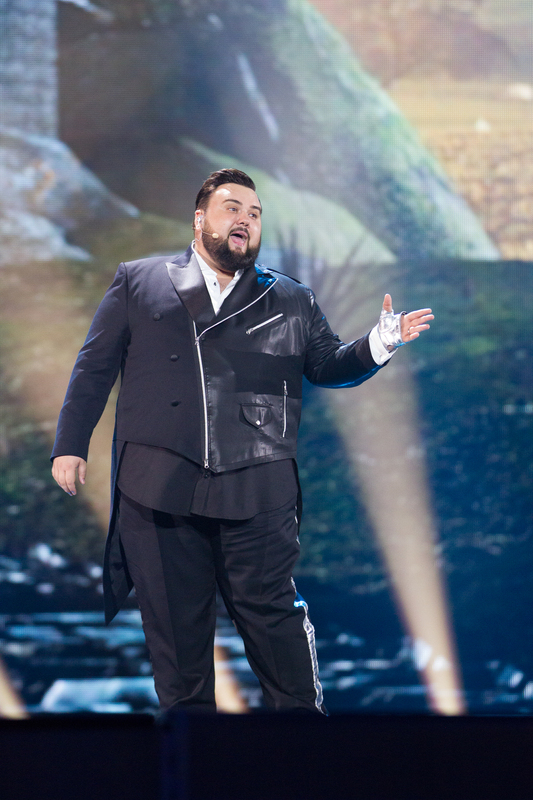 Jacques Houdek represented his country at the Eurovision Song Contest this year with the song My Friend. He gave Croatia their best result since 2006, as he ended 13th on the scoreboard in the Grand Final. However, the singer was not too happy about the support that the Croatian government gave him. Shortly after returning home, he spoke about how he was not satisfied with the level of support Croatia provided him. He pointed out that he was not happy with the way the Croatian President apparently was too busy to meet him before he went to Kyiv to participate in the contest. Also, he added that he was especially unhappy that no former Yugoslav Republic countries gave him any points – apart from Montenegro. Jacques states that this occurred because Croatia was the only country from that region that qualified for the final. Other than acoustic versions or remixes, Jacques has not released any new music this year. 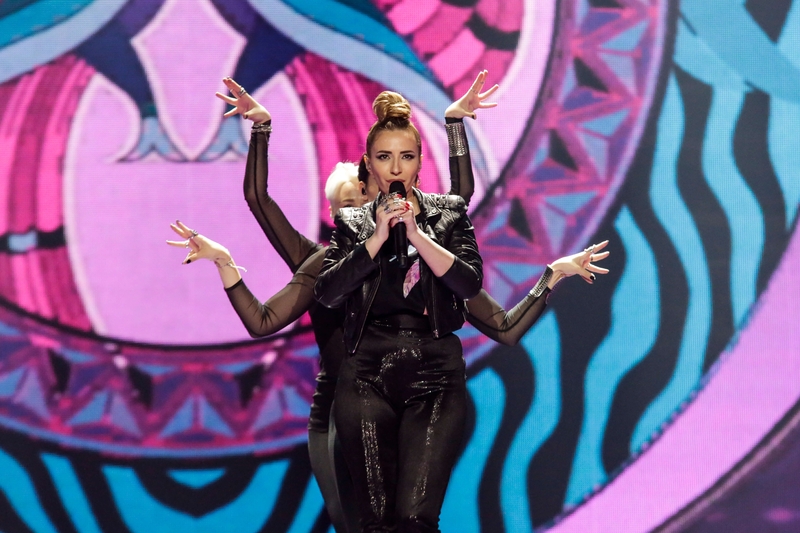 28-year-old Azerbaijani singer and songwriter Diana Hajiyeva (Dihaj) finished 14th in the final in Kyiv with the song Skeletons. The song tells the story of a brave and strong girl who loves a bad boy. Dihaj gave a solo concert in Baku’s Green Theatre in mid July. The concert was named The End Of Sunrise, and also featured the winner of the international jazz festival in Montreux, Isfar Sarabski, and the winner of the Turkish vocal TV show O Ses Türkiye, Elnur Huseynov (The latter has also previously represented Azerbaijan in 2008 and in 2016). Also, at the concert, Dihaj and her band promoted their debut album, named TEOS. Lucie Bethan Jones is a Welsh singer and actress. She first appeared in the show business when she sang at the X Factor UK in 2009, where she finished eighth. 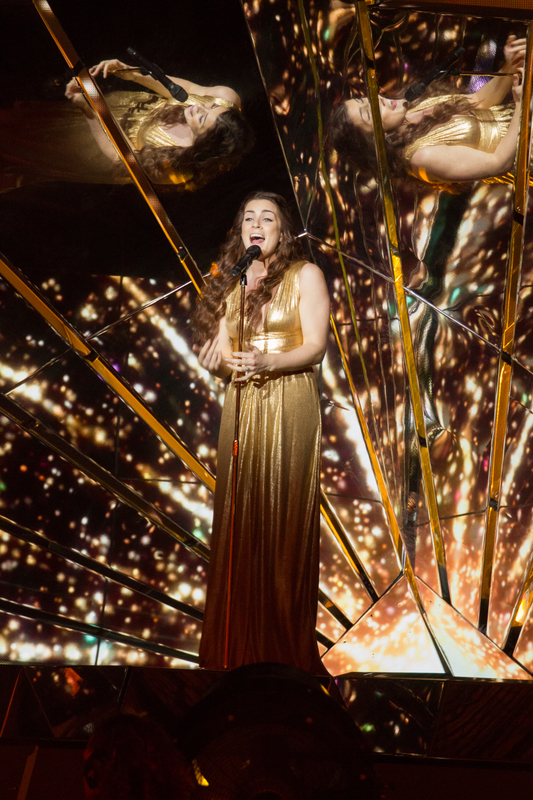 This year, she decided to take a step further and represented the United Kingdom at the 62nd Eurovision Song Contest. From the first few weeks, they began dating, and Ethan knew straight away that Lucie was the one for him, and began filming the video from that moment on. The video was taken in every location Ethan went to in those eighteen months of their relationship, and, finally, the time had come after those eighteen months of their romance when Ethan decided it was time to ask Lucie to marry him showing her this video, and she said ‘yes’! When the engagement was officially announced, Lucie couldn’t stop posting pictures on every social media of her fabulous wedding ring, and,- there’s more to it – there is a special history behind the ring! ‘It’s got a diamond that his dad gave his mum for their 10th wedding anniversary and that just means so much’, said Lucie shortly after she accepted his proposal. Nathan Trent (Nathanaele Koll) is an Austrian singer. 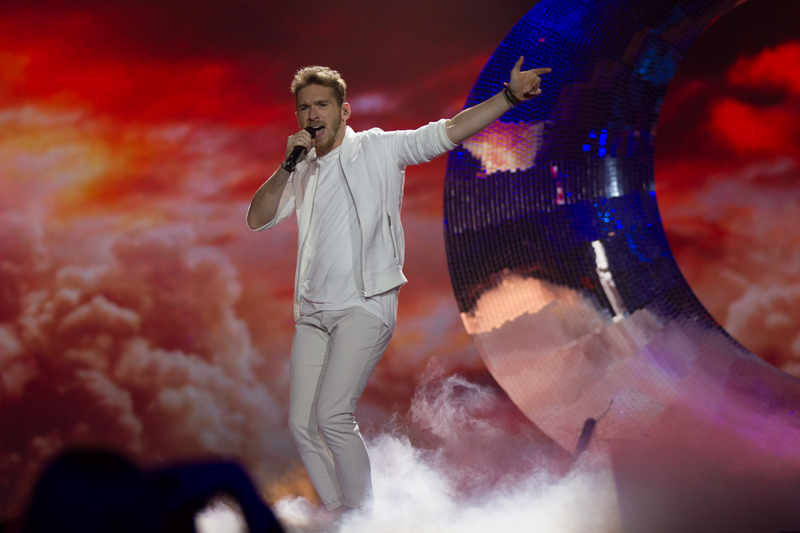 He represented his home country at the Eurovision Song Contest this year, with his song Running On Air. 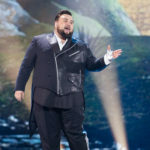 He is one of the artists from this year’s Eurovision that has been most active since May – for instance, he released two new versions of Running On Air, one in Italian, and one in Spanish. Also, Nathan Trent made an appearance at the Vienna Life Ball this year and sang Higher Love. He made a lot of covers during the Eurovision week, and, after May, songs like J’ai Cherche by Amir (France 2016), L’essenziale by Marco Mengoni (Italy 2013), I’m Alive by Elhaida Dani (Albania 2015), Heroes by Måns Zelmerlöw (Sweden 2015) and, of course, he had to make his own cover of the winning song this year – Amar Pelos Dois by Salvador Sobral. 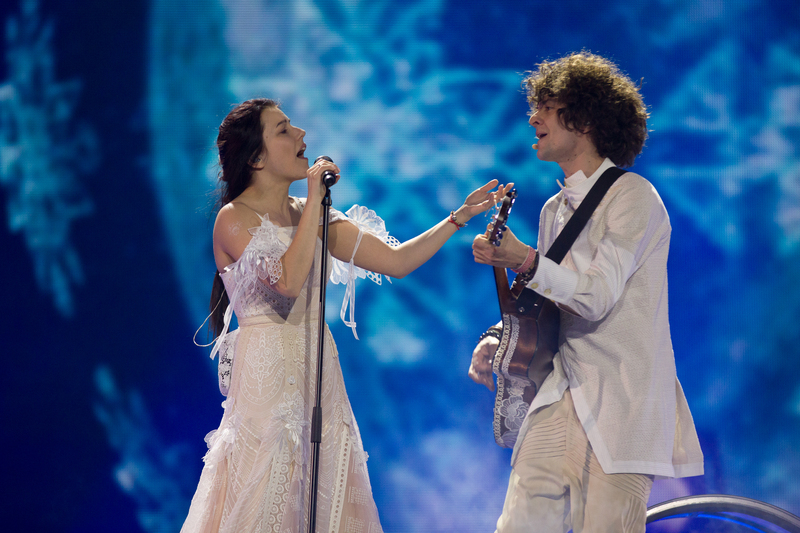 Naviband is a Belarusian duo that represented their country this year at the Eurovision Song Contest with the song Historyja Majho Zyccia, and finished 17th in the final in Kyiv with 83 points. On the 25th of June, it was the 20th anniversary of the first bottle of Coca-Cola produced in the first Coca-Cola factory in Belarus, and, for that special occasion, Naviband composed a song for the company with the theme music Taste The Feeling in Belarusian. ‘We are incredibly proud to have the opportunity to give people Belarusian culture through advertising. We sang this song in our style – the way we feel it,’ said Artem Lukyanenko. ‘We are very pleased that the Coca-Cola company is interested in us and trusts us – two young performers,’ Kseniya Zhuk added. For shooting the video for the song Pasprabuy … Adchuy, NaviBand travelled across the country to capture their favourite places in Minsk, Vitebsk, Brest, Mogilev, Grodno and Gomel. Listen to the Belarusian version of Taste The Feeling by NaviBand. Artsvik Harutyunyan is an Armenian singer. 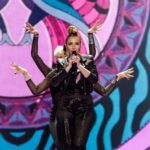 She represented Armenia at the 2017 Eurovision Song Contest, finishing 18th with 79 points for the song Fly With Me. So far, Artsvik has attended many photo shoots, one of them to sponsor make-up. Just as she has appeared in different Armenian TV shows, but no new music has yet been released. 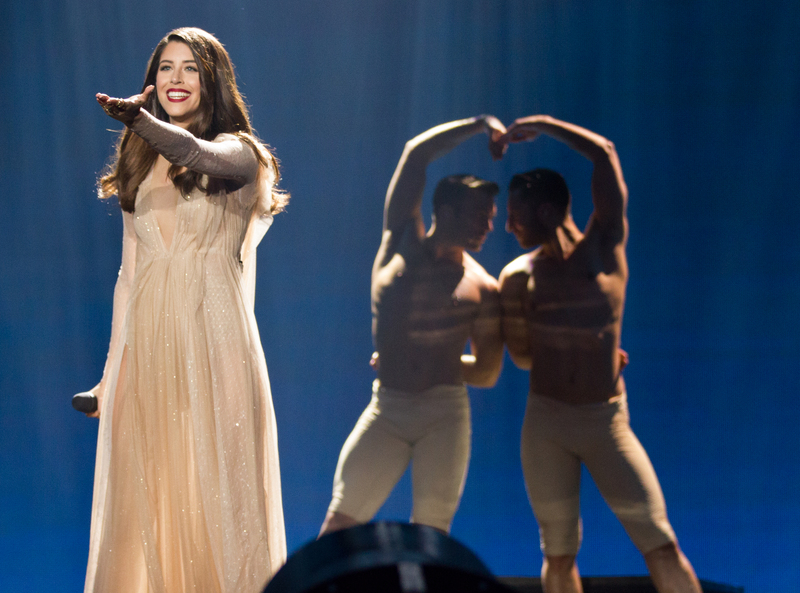 Dimitra Papadea (Demy) is a Greek singer who represented her country Greece this year at the 62nd Eurovision Song Contest in Kyiv, Ukraine. She finished 19th on the scoreboard, receiving 77 points. 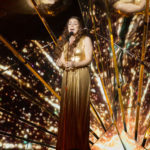 However, she is one of the first participants of the Eurovision Song Contest this year that released a single straight after May. She came back to Greece right after her Eurovision experience and recorded new songs and took part in many photo shoots. And, finally, on June 19th, her new single was released, named M’Ekdikeisai, (You’re Taking Revenge On Me). Check out Demy’s new song.